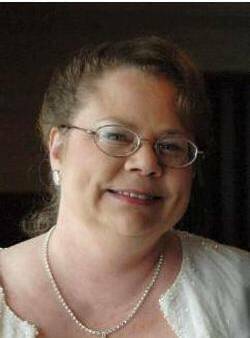 Lisa Jean (Kolbusz) Olgren, 60, Green Bay, passed away on Sunday, January 17, 2016, after battling brain cancer for 16+ years. She was born on September 11, 1955 in Iron Mountain, MI to Norman and Lois (Delmont) Kolbusz. Shortly after her birth, Norman and Lois returned to Green Bay. Lisa was a 1973 graduate of Southwest High School. She attended classes at UW-Madison, took various courses at NWTC, and spent nearly a year in Japan. In 2006, she married her beloved Jan. He was her “peach”, and the light of her life. Lisa loved her cats and Virgo. She also loved gardening. When she could, she donated money to an array of concerns. Lisa served as Emergency Coordinator for Amateur Radio Emergency Services (N9VJL) in Brown County from 1994 to 2000, and was a trained storm spotter. She was a proficient flute player, and adored all types of music. Lisa was born a loyal Packers fan. She appreciated the incredible forces of nature and the universe. Lisa loved her family and friends, most especially her Jan.
She is survived by her husband, Jan; two sisters and a brother-in-law: Linda and Wes Michael; and Laurie Schmitt and her children, David Schmitt and Rebecca Schmitt; uncle, Ken Solper and his family; special family friend, Marguerite Lussenden; and many other relatives and friends. Lisa was preceded in death by her parents, Norman and Lois Kolbusz; and aunt, Lenore Solper. Friends may call at Blaney Funeral Home, 1521 Shawano Ave., from 1 to 4 p.m. Saturday. Burial will be in Nicolet Memorial Gardens. To send online condolences, please go to www.BlaneyFuneralHome.com. In lieu of flowers, a memorial has been established in Lisa’s name. Very special thanks to the staff at Ledgeview Nursing Home for taking especially good care of Lisa while she was there.